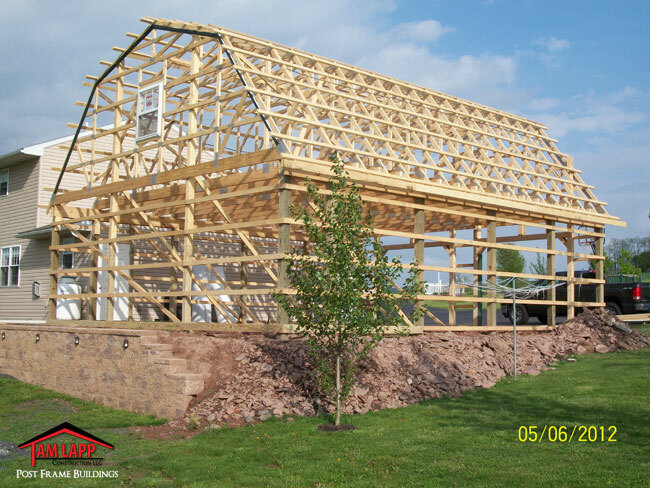 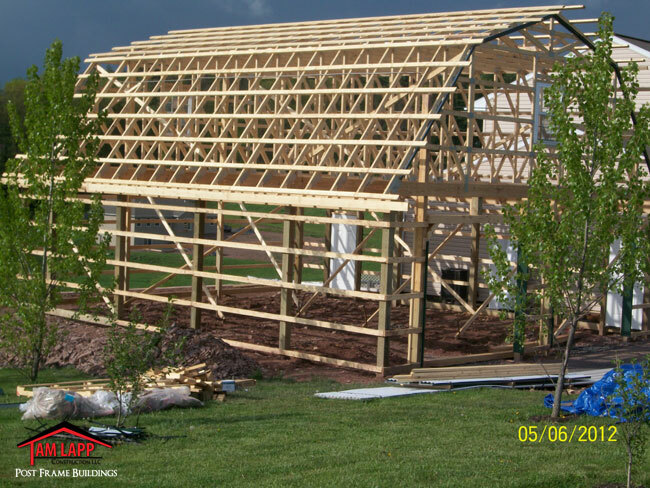 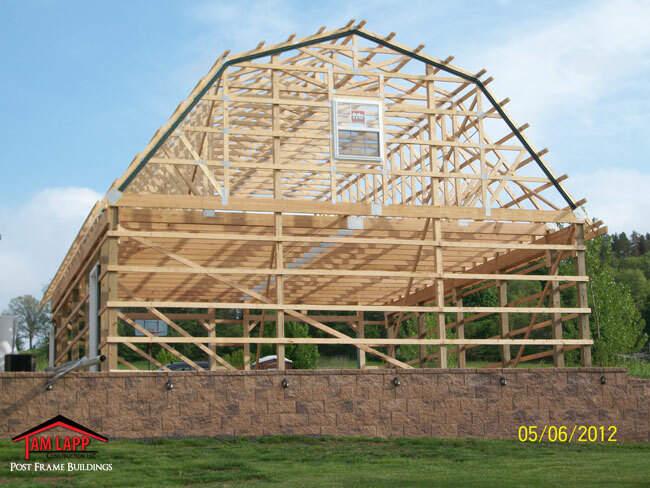 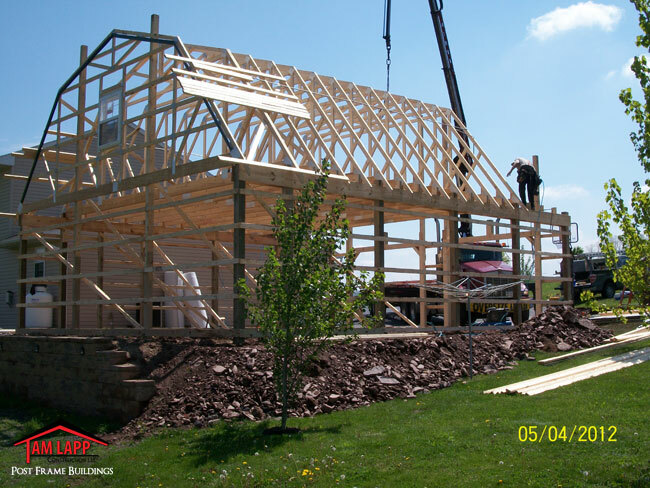 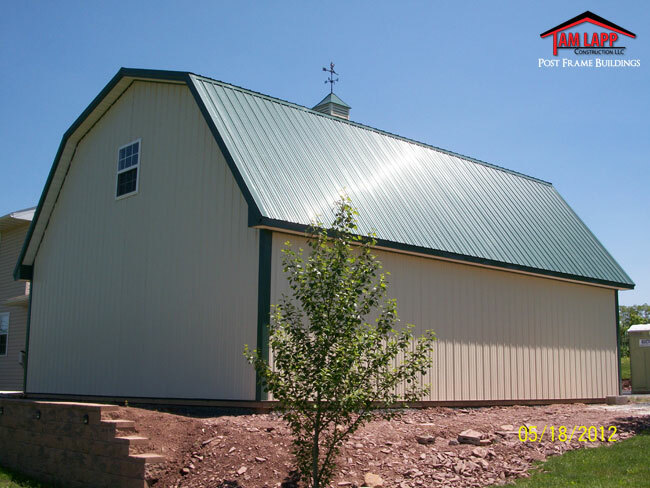 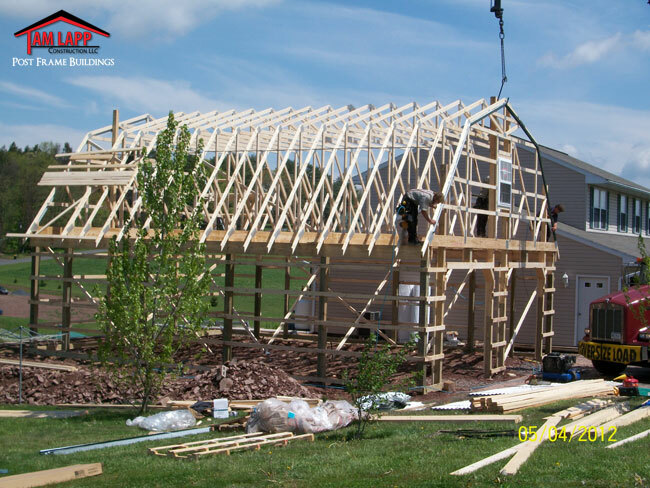 Clear Span 30’ Gambrel Barn Style Attic Trusses. 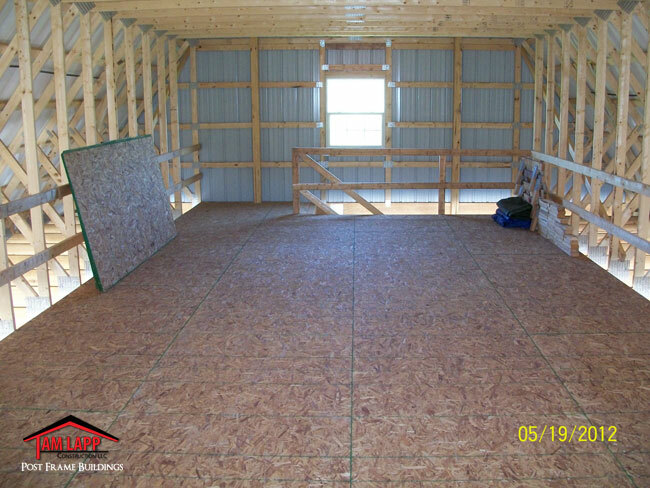 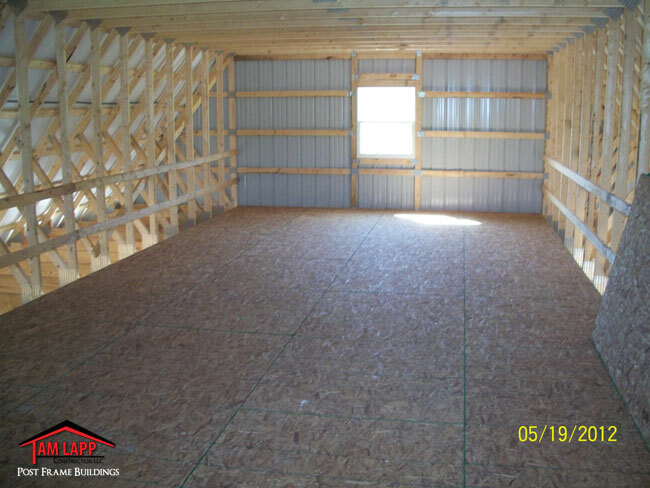 16’Wx36’Lx8’H Room Size ~ ¾” OSB Plywood Floor ~ 36” Wide Stairway. 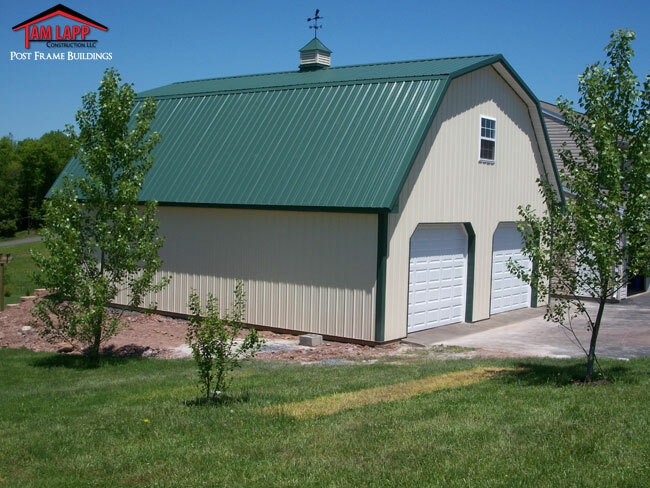 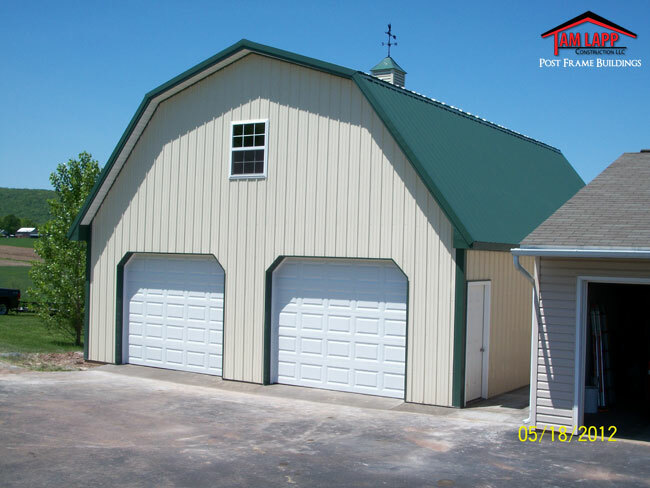 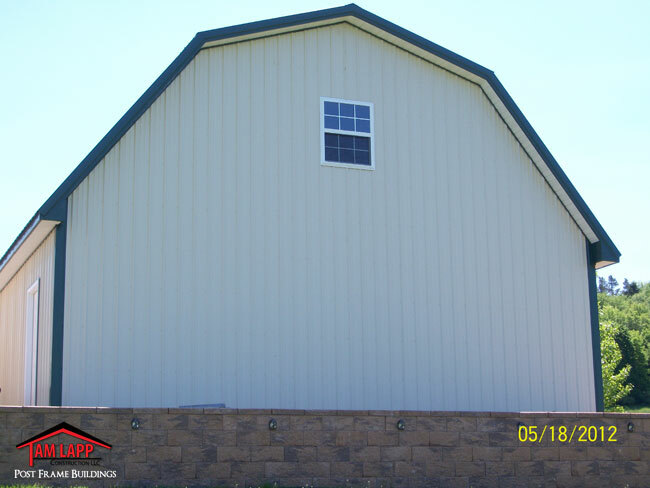 Garage Doors: (2)- 10’Wx8’H_ Inside Lock _ White & Insulated. 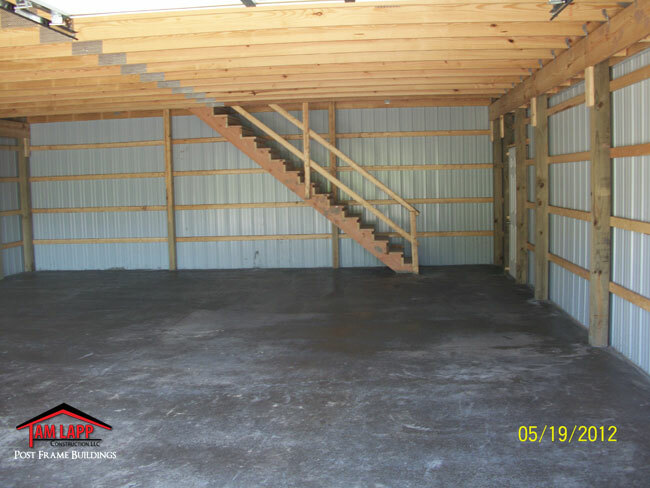 4” 3500 PSI Smooth Finish Concrete Floor w/Fiber-Mesh & 4” stone base_2’Wx36’L Concrete Apron @ Garage Doors with Weather Lip.